While cooking does mean a list of ingredients to grab and a set method to follow, I somehow believe in cooking by instinct more than measurements. Anyone who loves to cook is a cook at heart first. If you feel like you might need a little more salt or any other flavour to be enhanced,chances are that you will just do the right thing if you really love what you are doing. This kind of “sense” to know what/ when/how much is the key to creating unique flavours. 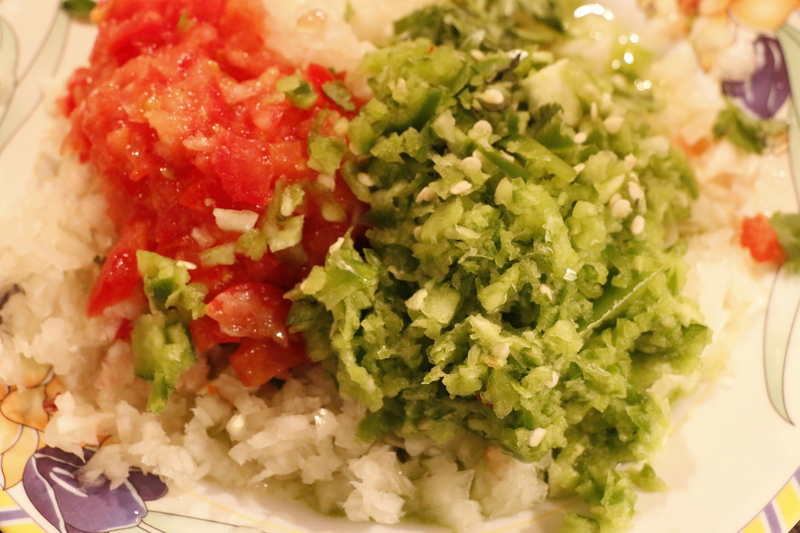 This is where you start to imagine how and what your food should taste like. To add more salt if less might seem like “Common sense” to some people but not all of us are so aware while we are cooking. So it is quite essential to listen to all your senses while you are cooking. I am sure most of you have experienced this many times. Measurements to me are only a rough guide at least in most cases. I am always throwing in extra chillies than needed(because we are fancy like that). So, if you are someone who likes to follow a recipe strictly, you might find my recipes rather ambiguous at times. But please do not be disappointed. My advice is to take note of the ingredients,read through the instructions and keep tasting and keep trying.You might end up surprising yourself with wonderful new flavours. When and if at all you are bored with the usual Plain dosa batter, Quickly wash a bowl of these leaves and grind them into a nice paste using very little water or you can also add some of the batter too to help with the grinding. This way, you can reduce the amount of water and be sure that the batter isn’t too runny. 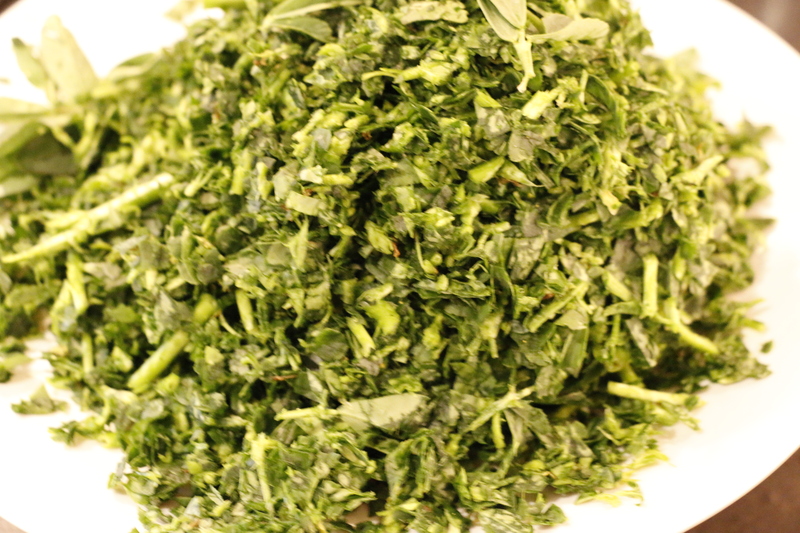 How about some Chapatis or Parathas with freshly sprinkled Methi leaves and a dollop of ghee? You could even add it to your naan breads. Adding these leaves to the Good Ol’ Tadka Dal is so deeply satisfying. Besides the above suggestions, you could simply add them to any gravy that you love. 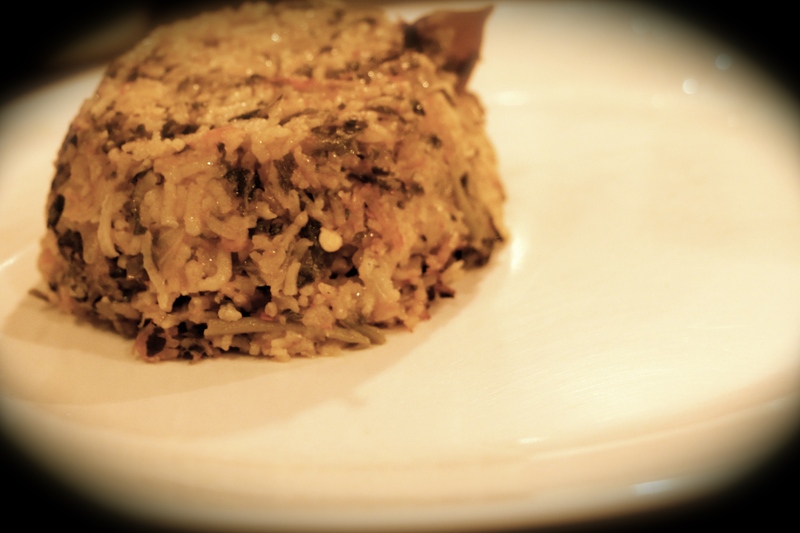 So how do you go about making this Simple Biriyani? Season a couple of Bay leaves, cloves and cinnamon sticks in some ghee along with a spoonful of Jeera/Cumin seeds. Adding a pinch of hing/asafoetida to any dish is always a good idea in terms of helping with digestion. 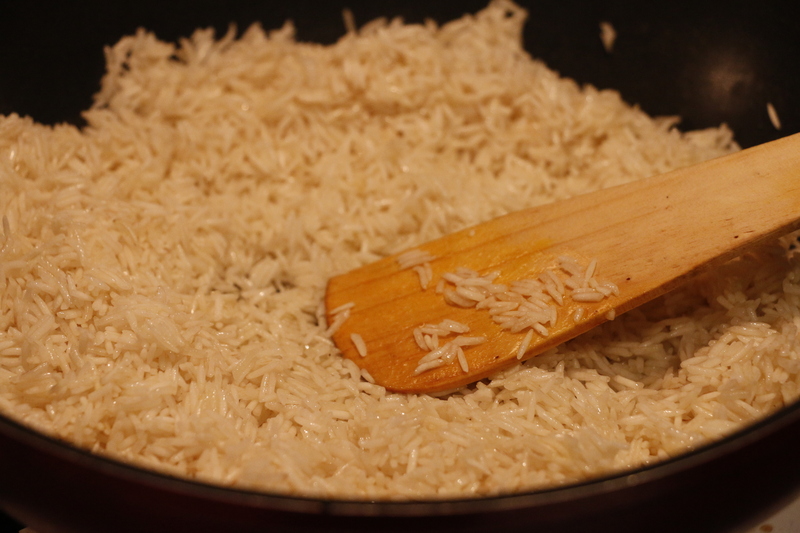 On the other side, heat a wider pan with some more ghee and dry roast the basmati rice just until they start to turn golden in colour. This step should leave the entire house smelling so good. On the other pan where you have just done the seasoning, add finely chopped onions, tomatoes, green peppers/capsicum and green chillies. Saute this for five minutes. 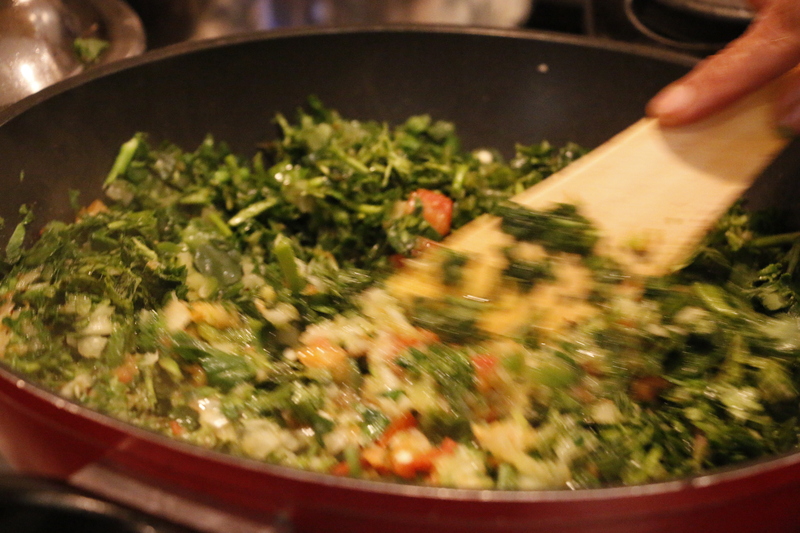 Then throw in cleaned and washed coriander,mint and Methi leaves. Add Salt and few spoons of red chilli powder and turmeric powder. Give a good mix. At this stage you can add hot water if you want the rice to cook faster or plain water if you have time in hand. 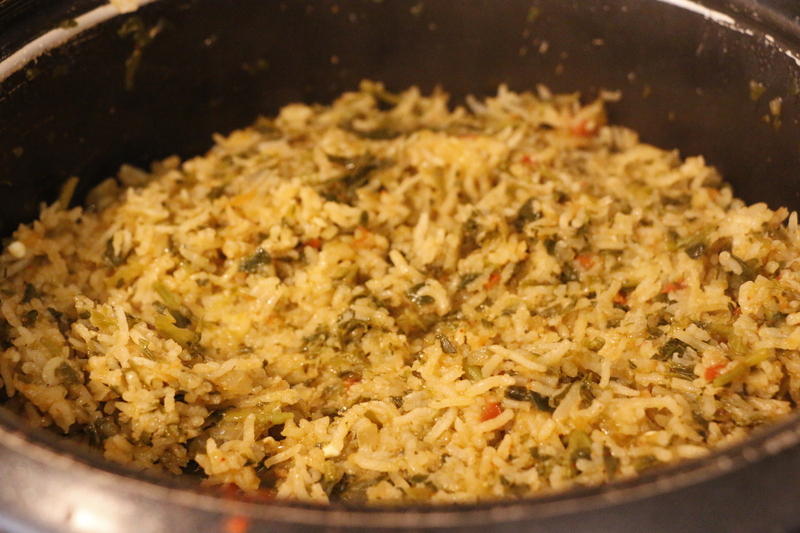 Once the water starts to boil you can add the roasted basmati rice. Make sure you check for salt and spice levels before you add the rice. Reduce the flame to medium and cover and cook for atleast 15 minutes. This time might vary depending on the quality of rice. So,if you are not sure check after ten minutes and cook further. Ingredients round-up : To Season– OIl/Ghee, Cumin seeds,Bay leaves, Cinnamon sticks and cloves, pinch of hing/asafoetida Main Ingredients – Basmati Rice (At least 2 Cups for two people), Water(3.5 cups),Green chillies(according to your level of spice) One big onion, Tomatoes, One green pepper, handful of coriander and mint leaves, a whole bunch of Methi leaves. Other Spices– Red chilli powder, Turmeric powder, Salt to taste This rice can be served with plain yoghurt or any simple raita of your choice. If you get a chance to try this recipe, please leave a comment to share your thoughts. Also, for those of you who think you might do better with exact measurements, please get in touch and I can write it up for you based on your requirements. Good day!